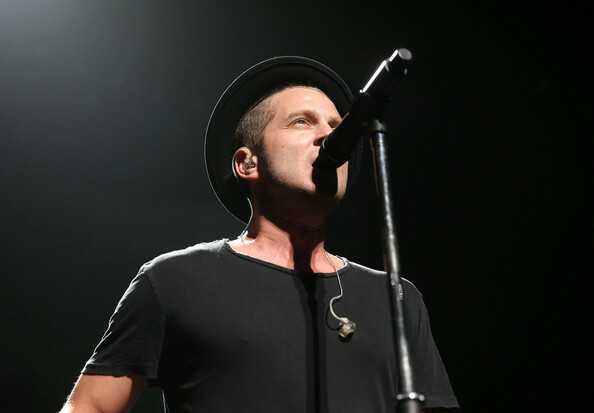 Awesome Singer Ryan Tedder Of OneRepublic Performed At Q102 Jingle Ball!–Pics Here! The awesome frontman Ryan Tedder of OneRepublic performed onstage at the Q102’s Jingle Ball 2014 at Wells Fargo Center in Philadelphia, Pennsylvania on December 10th. More pics of Ryan are below! 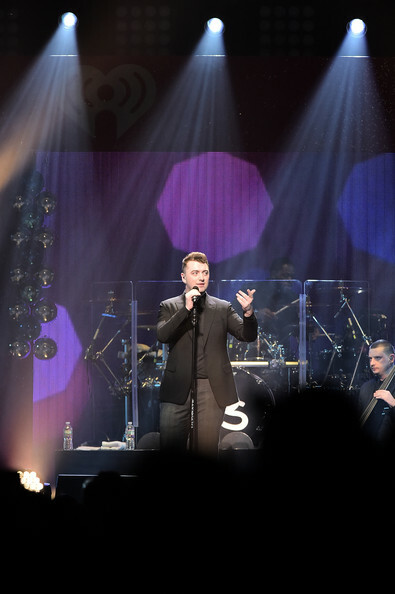 Sam Smith Looks Great In Black Backstage At Q102 Jingle Ball 2014!–Pics Here! Musician Sam Smith released handsome vibes backstage at the Q102’s Jingle Ball 2014 at Wells Fargo Center in Philadelphia, Pennsylvania on December 10th. Sam not only went to the event to enjoy himself, but he also performed! Check out more backstage pics below! Ariana Grande Hit The Stage At Q102 Jingle Ball 2014!–Pics Here! Amazing singer Ariana Grande looked cute with white kitty ears as she performed onstage at the Q102’s Jingle Ball 2014 at Wells Fargo Center in Philadelphia, Pennsylvania on December 10th. More pics of the performance are below! Peter Wentz Handsome Backstage At Q102 Jingle Ball 2014!–Pics Here! Fall Out Boy’s Peter Wentz showed off his handsome smile backstage at the Q102’s Jingle Ball 2014 at Wells Fargo Center in Philadelphia, Pennsylvania on December 10th. Meghan Trainor’s A Black Beauty Backstage At Q102 Jingle Ball!–Pics Here! “All About That Bass” singer Meghan Trainor was a black beauty backstage at the Q102’s Jingle Ball 2014 at Wells Fargo Center in Philadelphia, Pennsylvania on December 10th. See more pics of Meghan below! 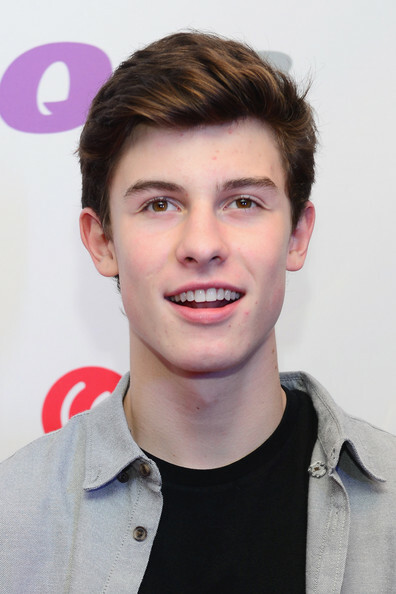 Shawn Mendes Looks Great Backstage At Q102 Jingle Ball! — Pics Here! Newly popular music artist, Shawn Mendes attended Q102’s Jingle Ball 2014 at Wells Fargo Center in Philadelphia, Pennsylvania on December 10th. He looks great in casual as he poses backstage! Check out more pics of Shawn below! Ariana Grande To Perform At Q102 Jingle Ball — Details Here!! Q102’s annual holiday concert, Q102 Jingle Ball 2014, will feature a star-studded lineup. Artists Ariana Grande, Sam Smith, Iggy Azalea, OneRepublic, Meghan Trainor, Jessie J, Rixton, Kiesza, Rita Ora, Shawn Mendes and special guest host Nick Jonas will perform during its stop at Wells Fargo Center on Wednesday, Dec. 10. Tickets will go on sale on Friday, Oct. 17 at 10 a.m. through ComcastTIX at ComcastTIX.com, at 1-800-298-4200 or in person at the Wells Fargo Center box office. Are you guys excited about the Jingle Balls for this holiday season?